How do we revolutionize healthcare delivery? By unleashing the brightest, most creative minds on the Carle Illinois research enterprise. We are building an immersive research program designed to explore every square inch of opportunity to solve health care’s greatest challenges worldwide. Foundational support for the Carle Illinois College of Medicine’s research and innovation program fuels inspired discovery by empowering our students to find a problem and make an impact. Allow them to tackle critical health challenges head-on through research by removing any barriers that might inhibit these curious minds from developing truly innovative solutions. Opportunities abound. 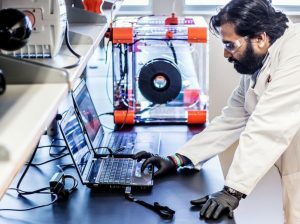 The Medical Maker Lab at Illinois is a network of fabrication labs where the only limit to harnessing technology to improve human health is one’s imagination. 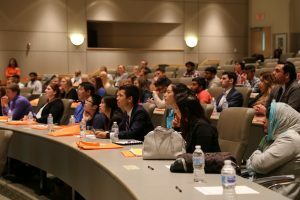 Students, and citizen scientists alike, will convene from all corners of the world to collaborate, ideate and create unique solutions to global health challenges by prototyping anything at any scale – from molecules to cells to tissues to systems. No barriers. No bottlenecks. Whatever they dream, they can make. Carle Illinois students can engage first-hand with health challenges around the world through the Global Community Immersion Program. During their discovery learning course, they will have the opportunity to immerse themselves in an international community for three weeks where they will be challenged to identify an unmet medical need abroad, which will in turn provide them with data and inspiration to create a solution. As a Carle Illinois student training abroad, they will learn from local leaders and contribute to the community through teaching seminars or assisting in local health facilities. The Pioneering Health Scholars Program is a one- to two-year program through which Carle Illinois students can immerse themselves in solving a specific health challenge of their choice. Through Carle Illinois students’ clinical immersive education, they will be exposed to multiple challenges in health care. In the course of their education, they may encounter a problem that requires their time, energy, and passion for an extended period. 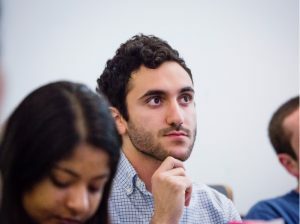 Whatever opportunity they’ve identified, the Pioneering Health Scholars Program affords these bright minds the freedom and time to follow their passion and instincts to discover something extraordinary, propelling them to make transformational advances in human health. 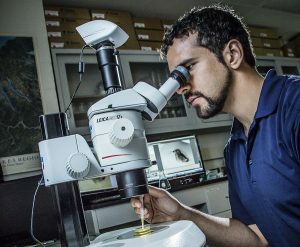 The Research Mentor program grants Carle Illinois students direct access to world-class researchers at Illinois. These researchers will open their labs to Carle Illinois students, mentoring them through their research projects and offering brilliant insights and direction as students seek to take global health challenges head-on in the lab.